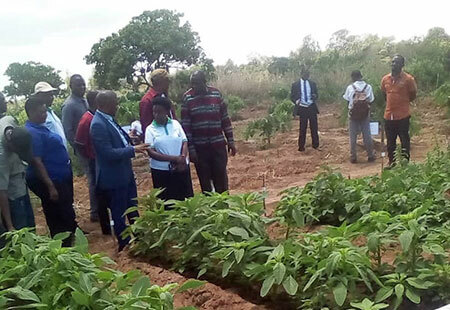 WorldVeg partner Ruth Minja discusses the merits of amaranth with the Deputy Minister of Agriculture. 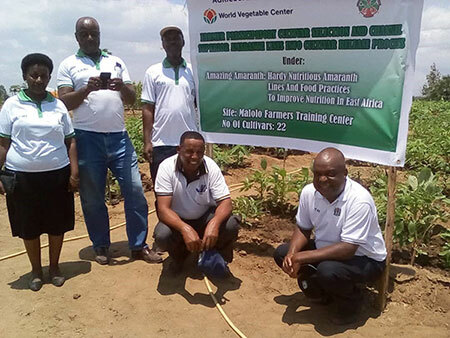 This year, the Dar es Salaam region in Tanzania celebrated World Food Day (October 16) with an agricultural/food exhibition at the Malolo Farmers’ Training Center in Kinondoni Municipality. WorldVeg Amazing Amaranth project partner Ruth Minja from the Mikocheni Agricultural Research Institute (MARI) participated by showing a field experiment of WorldVeg Breeder Fekadu Dinssa’s amaranth breeding lines and explaining the nutritional importance of amaranth to the guest of honor, the Deputy Minister for Agriculture.